In keeping with our policy of knowing all about the kit that we keep in stock, I want a quick word about a much maligned piece of stage equipment, that for most artists, certainly singers, is the most important thing on the stage i.e. monitor speakers. It’s amazing how many venues boast a sterling PA system with the very best of microphones and FOH desk, but then they fall down on the one thing the artist relies on more than anything, the monitor wedges. For those that don’t know, the monitor mix for the singer usually carries the music they’ll be singing to, and the sound of their own voice, so that they can pitch the song correctly against the backing music. This is very difficult to do if the main mix is blasting out front, and for most singers wishing to stay in tune, it’s a must. Indeed some singers may ask for a certain instrument to be higher in the mix, and others such as drums to be lowered, so overall the monitor is a hugely important tool for live stage work. Last Friday I was happy to be playing a show with my good friend, Grammy award winning solo guitarist Ed Gerhard from the USA. The venue was a small club in Chorley and Ed was using it as warm up before his shows at the Glastonbury festival this week. 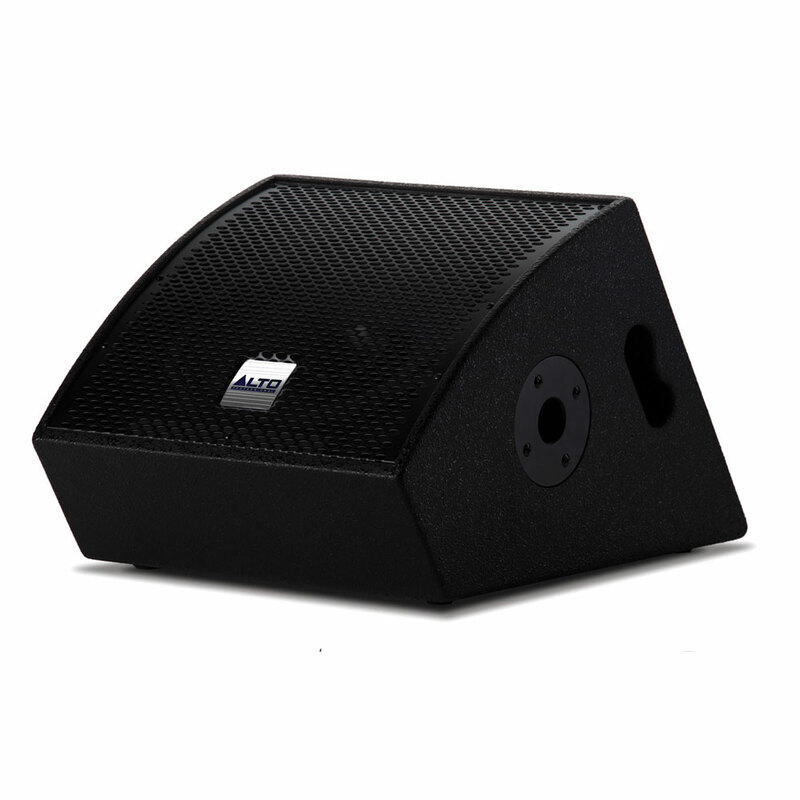 The guy who runs the venue had recently purchased two of the Alto TourMax SXM112A PA Stage Monitors from us here at Scan Pro Audio. The SXM112A’s cabinet is made of thick birch plywood, features a heavy-duty steel grill that’s built to last, and is covered in a rugged black textured finish that is scratch and dent resistant. Recessed handles makes the SXM112A easy and safe to move from rehearsal space to stage and back again while heavy-duty rubber feet ensure that it stays put no matter how much volume you pump through it. The SXM112A delivers a big sound with a high-performance 12-inch LF driver (2-inch voice coil), and an exacting 1-inch HF driver. What’s more, it utilizes a trapezoidal design which greatly decreases the resonance of the standing wave in the cabinet for a more true and exact sound reproduction. 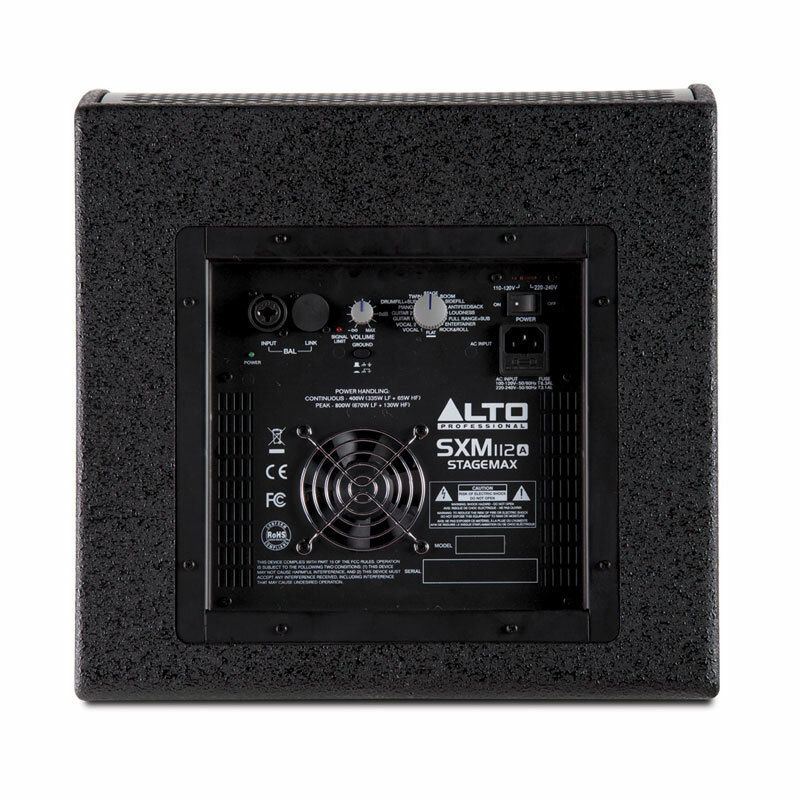 Alto have built in a modelling effects unit that changes the sonic characteristics of the SXM112A with the turn of a dial. Choose from 16 presets that maximize your sonic needs with options for vocalists, guitar players, pianists, drummers and sound engineers. The SXM112A houses more than just great sound under the hood, it features a built-in Class D, 400W bi-amplified system (800W Peak). As a self-powered stage monitor, all you need to do is plug in your audio and power cables, turn it on, and you’re all set. No external amplifiers to set up or transport — it’s all built into the SXM112A. The sound was clean and loud, and the monitors handled the volume perfectly, with no horrible ‘ear-splitting howls of feedback’ or indeed any problems at all across the whole evening. If you own a portablePA, or if you’re thinking of buying one, pay particular attention to these monitors. They could well be the best investment you make. Power Supply: AC – 220 / 240 V or AC – 110 / 120 Volt, with switching power mode. Previous PostNative Instruments Traktor Kontrol Z1Next PostYay!!! We did it! !